I think spring has officially hit its stride now. This week's forecast is reading like the report card of an "average" grade student and my little port city is finally thawing. This means lots of good things: school is almost over for the summer, there are clothes to be refashioned for the new season, and new life is growing everywhere! ...Well except my front porch right now because the majority of my little green babies died when I was a bad plant mommy and forgot to bring them in during our February Freeze. I want to start anew with spring though and I went out and bought some new plants from a local nursery. Normally my "garden" is just whichever section of the porch I take over with pots, but I wanted to change that up; give it some organization and order. 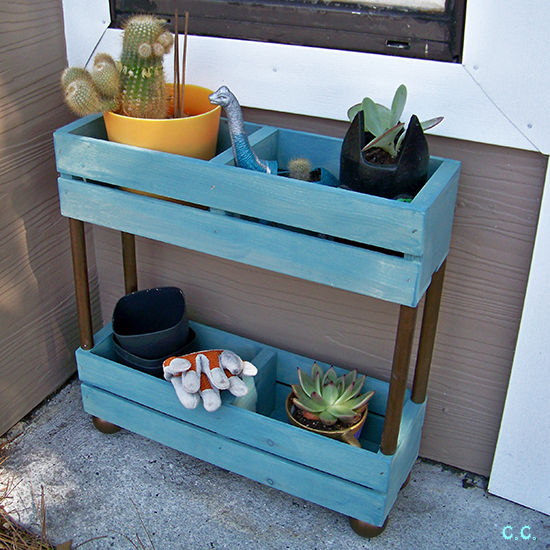 I had a light bulb moment at Joann's the other day while thinking on this topic; Make a simple, rustic garden shelf! 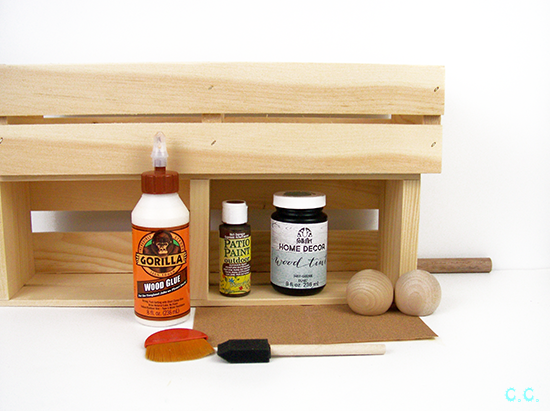 This project is a very simple woodworking project, so don't let the use of tools discourage you. It would be great for beginners or more experienced carpenters. Check out the tutorial below! 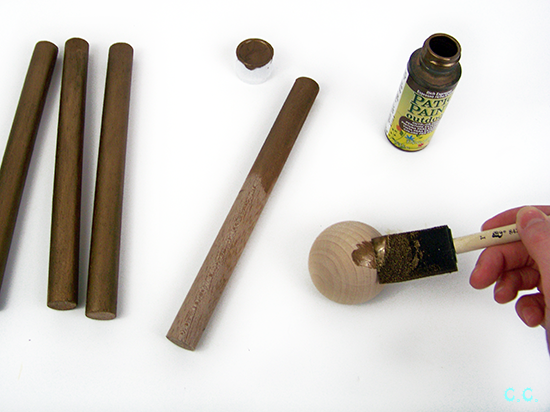 Step 1: Cut your wooden dowel down to 4 8in. posts. Sand down any rough edges. 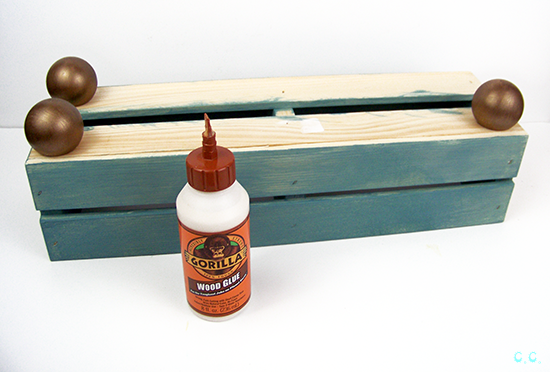 Step 2: Paint your accessory pieces with your accent color. 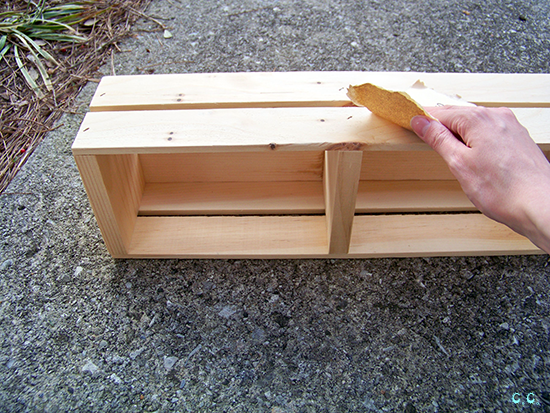 Step 3: Sand down your crates. 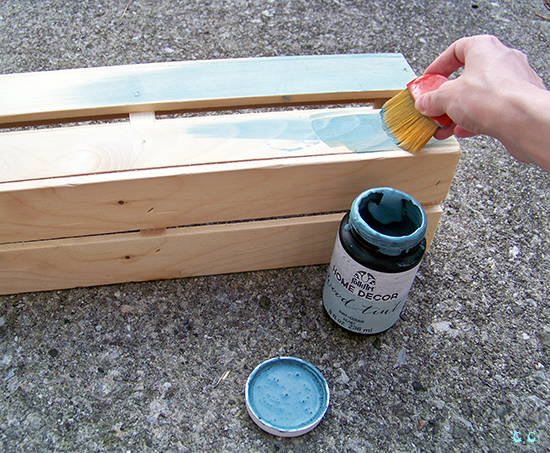 Step 4: Stain your crates. I used this beautiful teal blue "tint" that I also found at Joann's. 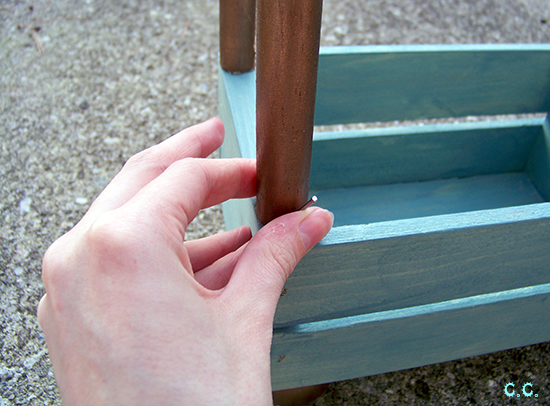 Step 5: Glue your feet onto the bottom of whichever crate you decide to be the lowermost crate. Step 6: Begin driving a nail at a sideways angle into the end of one of the posts, only let it go in about 1/4 an inch or so, you don't want it to break through the bottom yet. 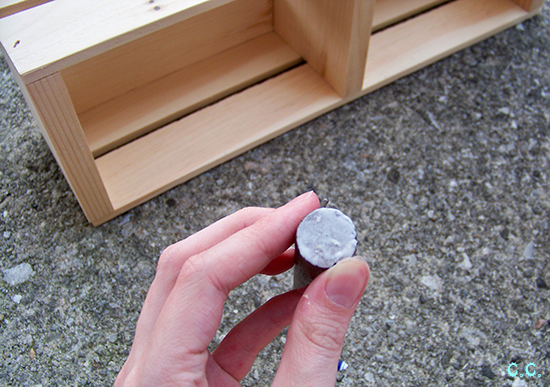 Apply a small amount of wood glue to the post. 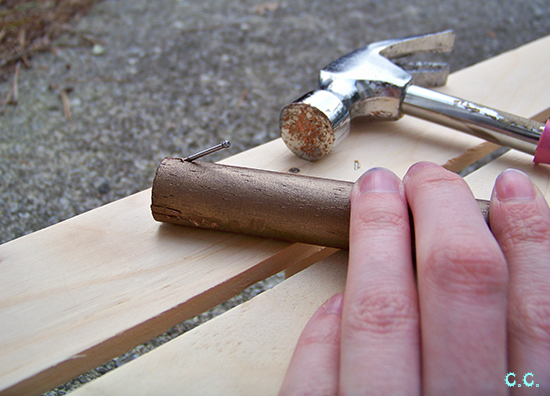 Place the post down where you want it and continue hammering until the nail goes all the way through the dowel and into the crate. Let dry. Repeat for all 4 posts. 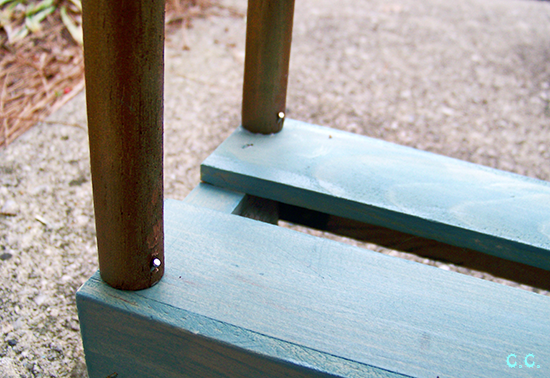 Apply more glue to the opposite ends of the posts and flip the section over onto the bottom of the next crate. Nail in place. 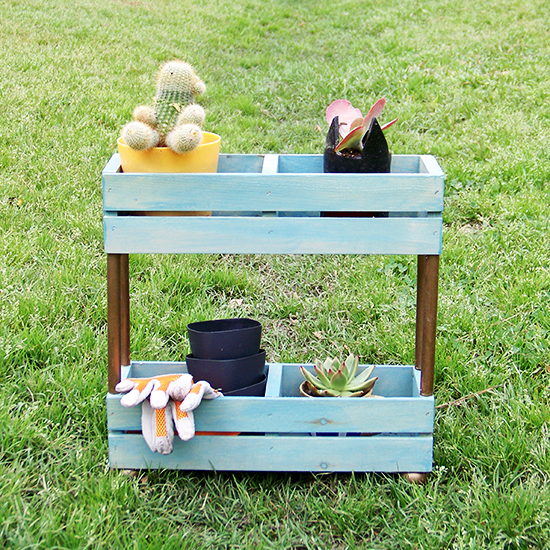 Let your shelf dry and begin using it to keep all your gardening stuff orderly. I am super proud of this project because I'm pretty sure it's the biggest wood working project I've ever done on my own (without my dad's help). I want to get some more plants for my shelf and I hope I have better luck with them. Do you have a green thumb? If so what's your secret, if not, do you keep trying like me or have you given up? This is a great idea. I'll definitely try it once the snow melts!